Earlier this morning, we posted some rather worrying news regarding the current situation at Konami, including claims that staff are being used as cleaners and security guards. If there's one positive to come out of the whole situation it's that Konami is so disinterested in harnessing its catalogue of IP that it's licensing some of its franchises to other companies. 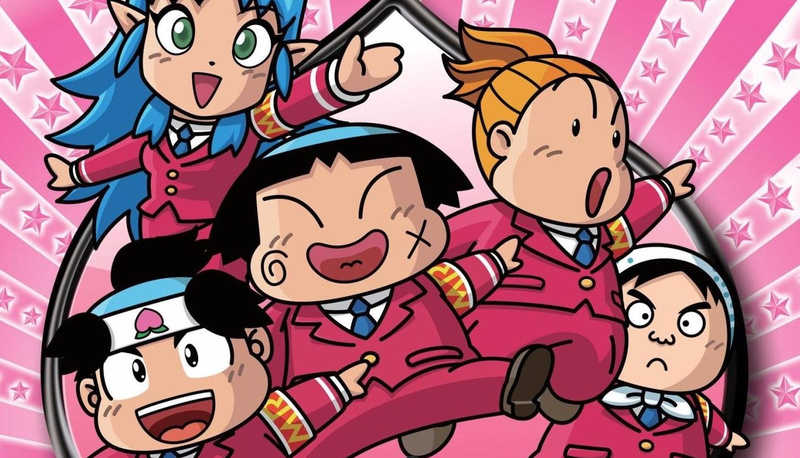 The big news at this point is that Nintendo has licensed the Momotaro Dentetsu brand (not to be confused with fellow Hudson Soft series Momotaro Densetsu) and is developing a game for release next year. Konami owns all Hudson Soft IP following the 2011 buy-out and 2012 merger of the company with Konami. Konami hasn't gotten in touch with me at all. This is how they've tossed me aside for a while now. I'm announcing here that Momotaro Dentetsu is officially done. Ishikawa at Konami squelched everything. Fans of the series will be pleased that the franchise isn't totally dead - even if its original creator isn't involved - but the really good news about this is that it shows Konami is willing to allow other developers access to Hudson Soft's enviable selection of brands, which includes Bomberman, Peachboy Legend / Momotaro Densetsu, Star Soldier, Bonk / PC Kid, Dungeon Explorer, Bloody Roar and Military Madness / Nectaris. Could we see other Hudson Soft titles resurrected in this fashion? Which ones would you personally like to see revived? Let us know by posting a comment. I hope Nintendo resurrects Bloody Roar. Hm, this doesn't look very interesting, so Konami might just have sold it off because they didn't want to do anything with it. I hope Nintendo buys out some of the Hudson and Konami IP rather than just license them. Would be especially good for Bomberman to be on the 3DS, Wii U and NX. Instead of licensing, Nintendo could had just go ahead and buy all of Hudson's IPs from Konami for good seeing as how Konami doesn't do anything with them. Heck as a bonus Konami might as well sell Nintendo all of their IPs (Castlevania, Contra, Metal Gear, Suikoden, Rocket Knight, Goemon, Silent Hill, etc.) along with that too, that would benefit the gaming market more than what Konami is doing to them now. Hope Nintendo gets hold of Bloody Roar. Way too long since that gem has had some love. Why not buy Hudson soft? Bomber man can easily fit for a Nintendo game! Totally agree with others above, Konami may aswell sell of the IP they don't want to use. Other developers could do better things with them. Although, I don't think it would be worth Nintendo buying them all up, they're struggling to keep up with their own IP. Then again they could pass them on to Retro, Nd, Monolith, and 1- up. Hudson Soft was obviously mainly associated with the PC Engine, but they also had games on NES, so it seems like that IP catalogue would be at home with Nintendo. I'd love to see the PC Engine return to the Virtual Console in full force as well and I'm not getting the sense that's going to happen with Konami as it currently stands. Nintendo should get Suikoden, Silent Hill, Castlevania and Zone of the Enders! DO EEETTTT! I don't want another Metal Gear Solid without Kojima and I doubt Konami would relinquish that lucrative title anytime soon. I would like to see Nintendo make 3D Classics into Bonk, Star Soldier....Heck just 3D classic what they can and then VC what they can't. Konami just threw good money out the window by not at leadt bringing some great titles to VC. gosh its practically free money. I dont think we will ever see this title ported out of japan. we can hope but dont hold your breath. @Artwark "Hudson Soft" no longer exists as something that can be bought. The company was officially merged with Konami in 2012. All that could be sold is the IP associated with Hudson, which I assume would need to be handled on a game-by-game basis. Be nice if bomber man and adventure island got resurrected. I love Momotaro Dentetsu. Its a very long running series here in Japan with lots of fans. To a lot of people this is a pretty big deal and there have been many of these released on Nintendo consoles. I was sad when I thought the series died. Glad Nintendo is giving it life. Every console should have a version of bomberman . @Kaze_Memaryu Just because something isn't interesting to you personally doesn't mean it doesn't hold significance for other people. Finally a slight rainbow appears for us Hudson fans. I had thought everything Hudson was locked away never to see the light again. Please let this be the start of the revival of Hudson's IPs! If Metal Gear Solid 5 failed to sell, Konami will be dead. Sony will mostly likely buy them up. I wish that Nintendo would buy everything Hudson from Konami and set up a Hokkaido office of old Hudson Soft employees again. Konami isn't doing anything with Hudson. @Blueberry that would be a dream. I'd work there! And Momotaro is just the start, other IP will be continue. The whole Hudson situation was a big loss for the gaming industry but those IP are not lost. @Tsuchinoko Obviously, otherwise Nintendo wouldn't bother with the IP, either... still don't care. Really hoping Nintendo does something good with Bomberman, Castlevania and Silent Hill. I know the last two may be a stretch but each franchise is literally art that is just waiting to be shown, molded, crafted, and show to the player. Keeping things locked up does nothing. If they license Konami IPs at some point, can we at least get Gradius? The last thing done with the series that was new, was a pachislot game... the last proper Gradius game was Rebirth on WiiWare. In 2008. Omfg this is awesome news! I've always thought it would be great for Nintendo to purchase Hudson Soft's IPs from Konami. I'd give anything for a new Bomberman on my 3DS. Quite a longshot, but I wonder if we might get Xexyz on Virtual Console out of this. I loved that game. Buy Hudson from them Nintendo! So many IPs to make new games, characters you can put in Smash, and of course you can give us the Turbografx on the VCs. Actually Think Sega should apply for Star Soldier and Bomberman, M2 would have a field day making 3D ports of those IPs. Namco and Nintendo jointly borrow Bloody Roar to make an Arcade style fighter, everyone knows Tekken has similarities with Animal ideas from Bloody Roars morph combat. Leverage that, to associate Namco and Nintendo in order to get the Arcade fighter crowd interested in the IP again. Possible machines for this would be Japanese Arcades, Wii U, 3DS an NX. @Artwark Not to mention a good candidate for the Sm4sh roster. Finally, Nd Cube looks like it'll go to work on something that isn't Mario Party or Wii Party. In case you don't know, they're largely staffed by former Hudson Soft employees, if I remember correctly. @Kaze_Memaryu Geeze you're a downer. Nintendo, bring back Adventure Island and Bonk. Yeah., Adventure Islands Master Higgins and Bonk would make great Amiibos. Levity aside, I am interested to see what Nintendo does with the IP. Oh wow, I guess I wasn't the first one who said that! @retro_player_22 I doubt Konami will sell off their video game IPs unless the company either goes under or they start losing money on them. I would have to assume that Konami gets a cut of the profits from this game. Which means they get rewarded without having to lift a single finger. Nintendo does all the heavy lifting while Konami sits back and waits for the check to come in the mail. But I think the main reason why Konami won't sell their IPs off is due to the value their brands still have,namely the older entires in these series. Konami can still make money off of Castlevania,Contra, Adventure Island, and other IPs without having to make new games in those IPs by simply putting them back up on networks every so often. And while I am grateful Nintendo stepped in to revive some of these IPs, I fear that it will make Konami even less unwilling to sell off their gaming franchises. Why sell Castlevania or Bomberman when you can just wait for another company to show up at our door who is willing to do the work while you still get a cut of the money? And still have full control of the franchises to boot. Dang, bloody roar is one of my faves... I had no idea it was by Hudson Soft! Bonk and all of the older stuff would fit like a glove as 3d classics. I missed out on a lot of these, and would love to get a chance to play them! They can still milk a lot of the bigger series on mobile devices. There's no chance they're going to Nintendo. Why stop there, Nintendo? I want to see Bomberman back in the sunlight once again! Bomberman and Bonk deserve better masters than Konami. Buy them Nintendo. PLEASE FOR THE LOVE OF ALL THINGS DIGITAL!!!! REVIVE BOMBERMAN!!! AND YES @DiscoGentleman BRING HIM TO SMASH!!! Bomberman in Super Smash Bros!!!!!!! I think I agree with a few people here when I say BUY HUDSON'S IP'S, NINTENDO! Konami sure as hell isn't doing anything with them, so I don't see why not. At least get Bomberman so we can get him into Smash. Yeah, I know Konami probably wouldn't sell them off unless they absolutely had to, but come on! IMO, the first order of business Nintendo should be doing in a post-Iwata-san time, would be buying, LITERALLY all of the Hudson IP's that Konami ain't doing crap with them. I think it is going to be for mobile. Buy up Bomberman, Adventure Island, Princess Tomato in the Salad Kingdom, and Bloody Roar! Please Nintendo! Or at least start getting some of their titles out on the VC. I want a brand new Princess Tomato game. And now I also want a salad. There needs to be a new Bomberman game for all current gen consoles. It needs to happen. Now if only Nintendo could yank Ganbare Goemon from their cold and heartless hands. Just buy Hudson IP's Nintendo. I'd love to see Adventure Island get rebooted. Bomberman & Adventure Island please. I can't imagine why one of the big three didn't buy up Hudson for Bomberman alone???? I know that nobody is going to answer this, but, here it goes. Knowing that whenever a company that goes bust, they usually sell their IP's to other companies for a reasonable price. Many companies have done this. I mean, look at Mortal Kombat; it belonged to Midway games, the co. went bust, and they sold the IP to NetherRealms. You know, stuff like that. So my questions is this: has Nintendo ever bought an IP (or IP's) from a defunct company, like, at all? Bomberman in Smash would be really neat. dadadadadadadada jijijijijijijiji dudududududududu dededededededede dooooooooooon!!!!!! Bomberman come to Nintendo. Specifically, come to Smash. @Retro_on_theGo maybe this one is more profitable. @John_Enigma As far as I know that's never happened. (Someone correct me if I'm wrong.) Nintendo like to do their own thing and create their own IPs around very specific gameplay ideas so they don't really have a use for IPs from other companies. Those IPs usually come with very specific expectations from fans on how they should play, look, and sound and would be hard for new developers to take artistic freedoms with anyway. Just look at the mixed reactions from Metroid Other M or Castlevania Lords of Shadow for example. In this case if what @TheWPCTraveler said is true and there are indeed quite a few Hudson employees in Nd Cube then there may have been a request from them to obtain this IP or Nintendo may be planning to use it for one of their mobile games instead of risking tarnishing one of their own IPs. A new Water Warfare would be nice. We would of loved to have seen those Hudsonsoft games they were working on for the 3DS before Konami shut them down. I always find weirdly naive the beliefe of many fans that Nintendo could purchase random third party "dead" IPs, and even better, start develop truckloads of games with those properties. That's when I remember that the most recent original F-Zero game is older than the most recent original Bomberman, Silent Hill, Goemon, Castlevania, Megaman, B&K, etc. Obvious Bomberman game is obvious. I expect this will be Smash costume DLC. Nintendo! Save the BomberMan and get Goemon while at it! Konami is sitting on them and they are dying. I need at least 1 Bomber Man per console and Wii U would be very good platform for Bomber Man. There is nothing I want more, than a new Goemon game. And Goemon should be on Smash Bros.
Hudson Soft is still around? They had some cool games. Wouldn't it be great to get some classics in a collection disk? Faxanadu, Adventure Island, Burger Time, Bomber Man, Milon's Secret Castle? What about Bomberman?! Come on Nintendo make it happen!! Bomberman will found it home at Nintendo. Come on Nintendo, buy it! MGS as Nintendo exclusive and Snake in Sm4sh! Maybe we can get all those turbographx games on the wii u in japan over here now? Any century now?? Then we need to download all Hudson Soft games from Wii VC before they dissapear!! @John_Enigma From what I recall, no. They don't usually buy IP from dying companies, they just straight up buy the company/development team instead. A good example of this is Monolith Soft and Nintendo's acquisition of them from Bandai Namco. That way, they can get the IP with a development team who knows their IP well enough and use them without having to redirect their own resources to the acquired IP's that they just bought. @link422007 So what you're saying is that, in a worst-case scenario, if Konami goes defunct (in which, if we look at Konami's state, it would probably go to bust), Nintendo will try to buy the company before filing for bankruptcy. Right? The same situation happened when Eidos was bought by Square-Enix. From the looks of that series, it looks so Japanese, I doubt we'll see it Westward, but starnger things have happened. Fortune Street actually got a localization. @John_Enigma In this case, probably not. Konami is financially stable. There's also not much creative talent left at the company. It'd be far cheaper to buy individual IPs. If Nintendo were to buy any companies right now, it'd be Capcom. As crazy as it may sound, this may be one of Nintendo's upcoming mobile games. After all, Konami bought Hudson mostly for the mobile market as far as I can remember. @John_Enigma Most likely. There has been few and far in between examples of a Japanese company just buying an intended IP compared to absorbing/buying out smaller companies (I've never heard of Nintendo actually absorbing IP's from other companies, and they have a difficult time in maintaining them). You can hear mergers there but that's about it IIRC. But until Konami's pachinko and slot machine business goes bust, it will most likely hold on to all its IP as well as Hudson Soft's which is sad because once the company stagnates into oblivion, most of the stuff that they have will only be left in the memories of fans and in history books unless they hand out licenses to other companies to make their games. If licensing isn't an issue, I could see other developers taking up the slack with a very minimal investment needed from Konami itself. Actually, I think they wouldn't have to spend a dime on their licensing, step back and let the others do the dirty work. Granted, profits would be smaller but hey, more money with less spending is always a good business decision.